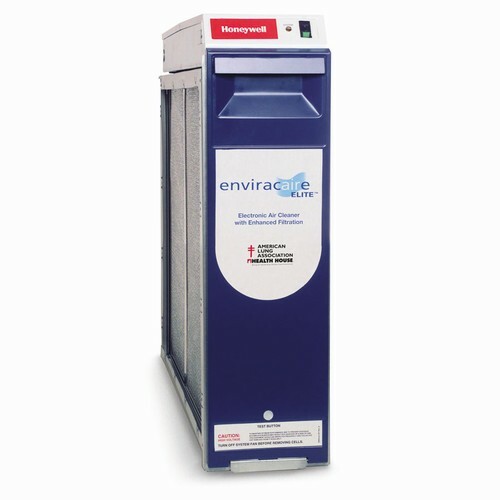 High-Efficiency Electronic Air Cleaner is designed to remove air contaminants down to 0.01 microns (1/2,540,000 of an inch). 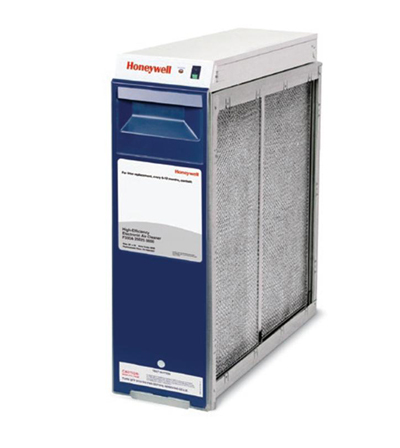 It helps protect and prolong the operating efficiency of the heating and cooling equipment. An installed electronic air-proving switch automatically cycles the air cleaner on and off with the system fan. The air-proving switch detects airflow and energizes the air cleaner. 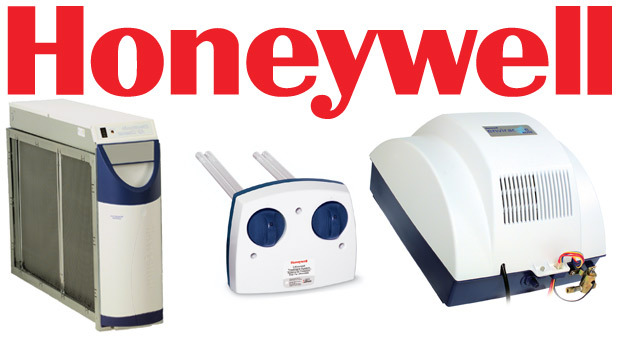 With a 4-stage air cleaning process, pre-filters, charging section, grounding plates and carbon filters, the air cleaners efficiently remove atmospheric and household dust, coal dust, insecticide dust, mites, pollen, mold spores, fungi, bacteria, cooking smoke and grease, pet dander and tobacco smoke particles.